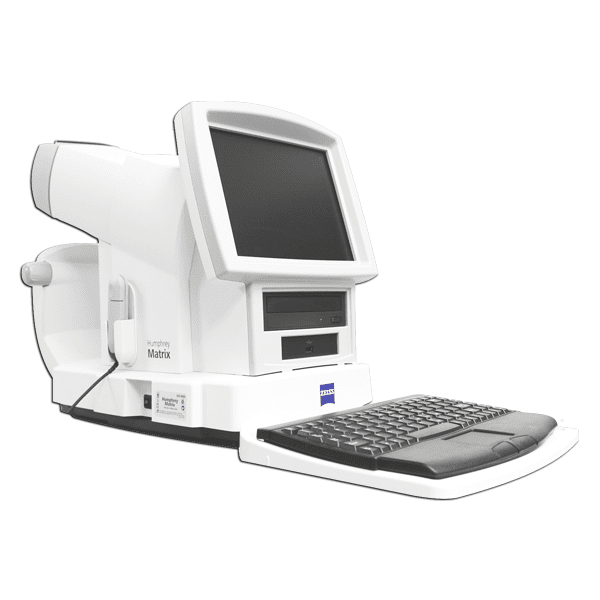 ZEISS Humphrey Matrix 800 - Vision Equipment Inc.
ZEISS Humphrey Matrix 800 for early visual field loss detection Proven to find early visual field loss. Quickly. Easily. Connects to office networks, EHRs and FORUM®.Frequency Doubling Technology detects damage to the M-cells, a subset of ganglion cells.Large, age-related normative database. 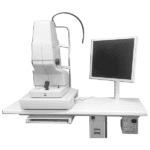 ZEISS Humphrey Matrix 800 for early visual field loss detection Proven to find early visual field loss. Quickly. Easily. 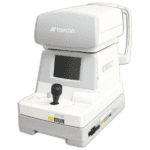 Connects to office networks, EHRs and FORUM®.Frequency Doubling Technology detects damage to the M-cells, a subset of ganglion cells.Large, age-related normative database. 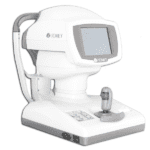 Fast and easy to use no darkened room required.No trial lenses or eye patches required. **Fits in any practice compact and portable.Offers reports similar to those of the Humphrey HFA, the World Standard of Care. * Using DICOM, or you can export JPEG or PDF files via the USB port to a PC or EHR. ** Trial lenses are required beyond +/-3 diopters for the Humphrey Matrix and beyond +/-7 diopters for the Humphrey FDT.